Gallium arsenide (GaAs), a group III-VA intermetallic semiconductor, possesses superior electronic and optical properties and has a wide application in electronic industry. Exposure to GaAs in the semiconductor industries could be a possible occupational risk. The aim of the present study was to determine the dose-dependent effect of single oral exposure to GaAs (500, 1000, or 2000 mg/kg) on some biochemical variables in heme synthesis pathway and few selected physiological variables at d 1, 7, and 15 following administration. The results indicate that GaAs produced a significant effect on the activity of δ-aminolevulinic acid dehydratase (ALAD) in blood and heart (particularly at d 7) following exposure to 2000 mg/kg, whereas urinary δ-aminolevulinic acid (ALA) excretion was elevated only at d 7. No marked influence of GaAs on blood hemoglobin, zinc protoporphyrin, and packed cell volume was noticed. Blood glutathione (GSH) was significantly reduced at d 7, but remained unchanged at two other time intervals. On the other hand, heart GSH contents remained uninfluenced on GaAs exposure. Most of the physiological variables, viz. blood pressure, heart and respiration rate, and twitch response, remained unchanged, except for some minor alterations observed at d 7 and 15 following exposure to GaAs at a dose of 2000 mg/kg. 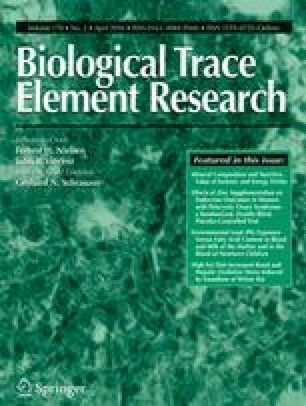 Blood gallium concentration was not detectable in normal animals and rats exposed to 500 mg/kg GaAs. Blood arsenic concentration was, however, detectable even at the a lower dose level and increased in a dose-dependent manner. All these changes showed a recovery pattern at d 21, indicating that the alterations are reversible.